Play Framework is an open-source web application framework, written in Scala and also usable for other programming languages that are compiled to Bytecode, e.g. Java, which follows the MVC architectural pattern. Play Framework empower developers to build highly scalable, lightning-fast applications with an ease unparalleled on the JVM. Built on Reactive principles from the ground-up and based on Akka and Akka Streams, Play is stateless, asynchronous and non-blocking. So applications built using Play deliver all of the benefits of Reactive systems, including a high degree of responsiveness, elasticity and resilience. 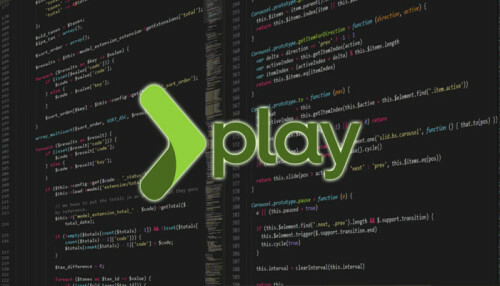 Play also offers a host of developer-friendly features including powerful Scala and Java APIs, an easy-to-use MVC paradigm along with hot-reloading, interoperability with multiple runtime and compile-time dependency injection frameworks, modularity and extensibility - significantly accelerating developer productivity and business velocity. By applying the Play framework to your product, we ensure that the productivity is guaranteed and maintained and that field testing is fast and simple. Our expert developers have significant experience with programming in Scala/java and are always excited about the simplicity and the broad possibilities that it offers. Rapid development: Play features a “just-hit-refresh” workflow that includes a built in compile/reload mechanism, enabling developers to rapidly see Scala and Java code changes. Lightning fast: Asynchronous, non-blocking I/O and work sharing across threads makes parallel data fetch easy and concurrency on the real-time web possible. Modul Test Software: A testing framework is already incorporated in Play! Integrates with everything: Play lets you breathe new life into your aging infrastructure. It includes integration support via a REST API, HTTP, JSON, WebSockets, Comet, Server-Sent Events and many other protocols. Modern web and mobile apps: Play is built for modern web and mobile apps. It’s non-blocking, RESTful by default, and has built-in asset compilers for modern client-side technologies like CoffeeScript and LESS. Massively scalable: Play leverages modern multi-core architecture capabilities to handle massive numbers of concurrent users by default without requiring developers to utilize cumbersome multi-threaded programming techniques. Ideal for cloud: Play was designed from day one to run in a variety of environments consisting of small and ephemeral virtual machines enabling huge cost savings in web-related infrastructure.